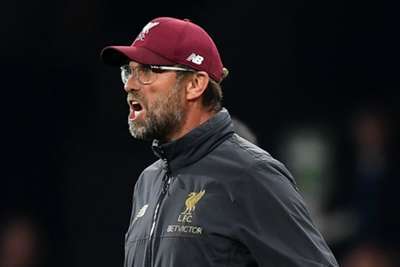 Xherdan Shaqiri admitted Liverpool's performance in their 1-0 win over Huddersfield Town gave manager Jurgen Klopp reasons to shout at his players, saying the Reds "can do better offensively". Following a run of four games without a win in all competitions, Mohamed Salah's first-half strike at John Smith's Stadium was enough to secure three points for a Liverpool side that has struggled for goals in recent matches. Salah's strike was only Liverpool's third in five games and Shaqiri, who set up the goal in only his second Premier League start for the club, said Klopp's vocal outbursts from the touchline during the match were understandable. "He wants the best from you and always demands that you give 100 per cent," he told reporters. "He is very emotional. If he sees something that is not 100 per cent normal, he will shout – and he did! "That's normal. Everything was not perfect like he wanted it to be. In the end we won the game and that was the most important thing. But we have to analyse what was good and what was not good." Liverpool face Red Star Belgrade in the Champions League on Wednesday as they aim to bounce back from a 1-0 defeat to Napoli in their last Group C fixture. Shaqiri called for his team-mates to improve their end product as they prepare to face Cardiff City at Anfield three days after that European home fixture. "We had opportunities to score more goals," said the Switzerland international. "When it came to making the final pass, we could have done better. Maybe we can do better offensively. "It was not the best football we have played, but we got three points."